1 Navigate to the Account Verification page. 2 Enter your account email address and the verification code we have sent to you. If you have not received your verification code or it has already expired, then click the Resend code button to resend a new verification code. 3 Click the Verify Account button to verify your account email address. 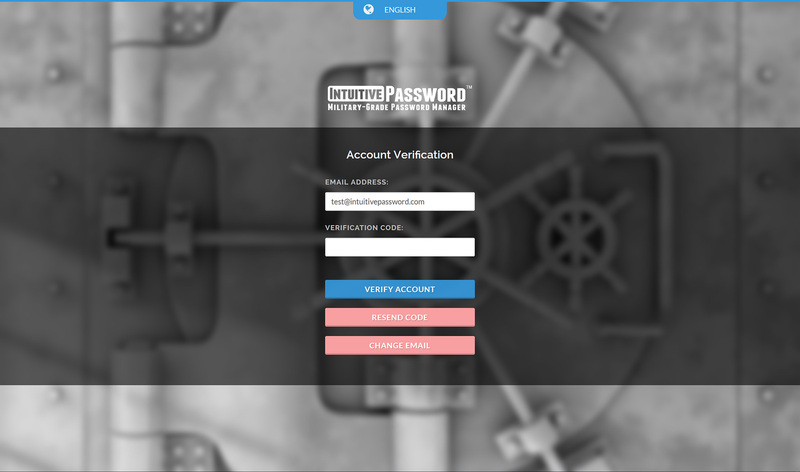 4 Once your email address has been successfully verified, your Intuitive Password account will be automatically activated.